Q: How many writers does it take to change a lightbulb? Sadly, I have no punchline for you, because this is no joke. The lightbulb is the metaphorical one we know and love – it is your idea for a novel. So, the real question is: how many writers does it take to change a lightbulb… into a book? If you’ve done a Creative Writing MA, you’ll already know the answer to that question is not ‘one’. We do a much better job of this lightbulb-to-book magic trick if we have other people to steady the wobbly ladder, check the wattage, advise on screw versus bayonet fittings, and cheer us on as we flick the switch and pages begin to flutter from the ceiling rose. This metaphor isn’t proving very elegant, but turning lightbulbs into books is a messy process too. Finishing an MA, and finding yourself without that crowd to cheer, steady and advise you, can be the trickiest part. It also tends to come along at the toughest stage in novel-writing: the saggy middle. It’s not just plots that risk sagginess in that tender spot; the middle of the writing process is also when most writers sink into a crisis of confidence… or take up matchstick modelling as a displacement activity. After far too many conversations about the post-MA slump in motivation, and the mid-novel slump of the soul, we decided to do something about it. 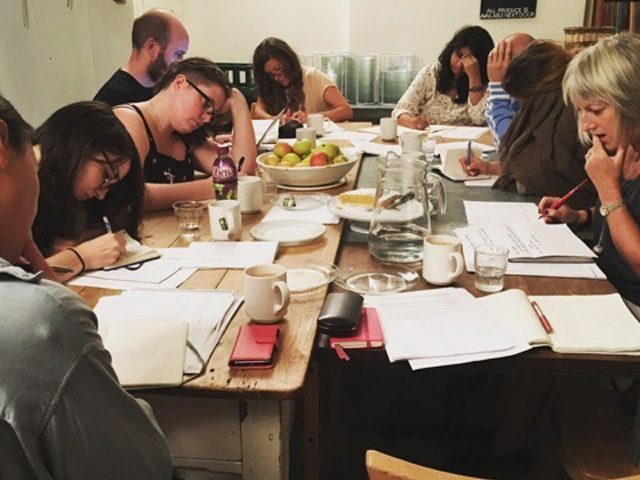 Last year, London Lit Lab ran workshop sessions for post-MA writers in both London and Bristol. It turns out we made the right decision: our groups of writers were dedicated, passionate, and hugely supportive of each other. They were also meticulous in their critiques. After eight months of intense, productive workshops, they had all learned a lot, written a lot, and made lots of new writer friends. Our lightbulbs had many more pages, and good ones. So, we’re doing it again. From October 2018 we’ll be running two sets of sessions in London, and one in Bristol. Writers will share their work ahead of critical discussion at each meeting. Everyone will have previous experience in critiquing and being critiqued. 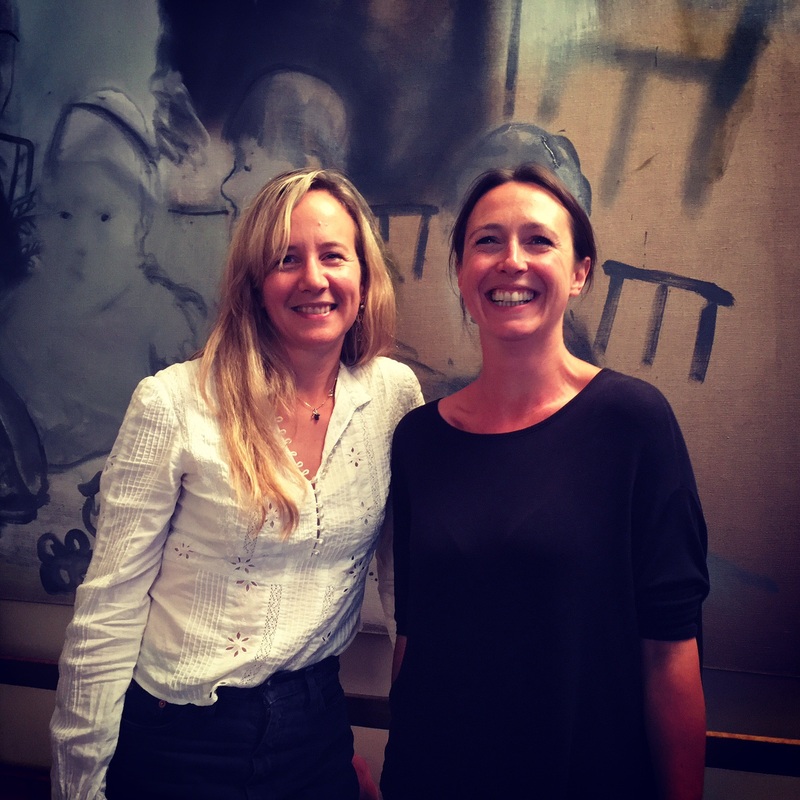 The groups will be chaired by us – Lily Dunn and Zoe Gilbert. We’re both completing Creative Writing PhDs, and regularly teaching and mentoring writers through universities or our very own London Lit Lab. Our aim is to build strong, supportive groups of MA graduate writers from a range of universities, so you can get fresh eyes on your work. If you’d like to get involved with one of these workshopping groups, you can find out more about the London sessions here and the Bristol sessions here. Feel free to get in touch with Lily and Zoe at info@londonlitlab.co.uk, or find out more about us on our website, Londonlitlab.co.uk. Lily Dunn has written two novels (Portobello Books), alongside short stories (Matter) and creative nonfiction (Granta, Litro). She is working on a PhD in Creative Writing at Birkbeck, University of London, and is a PhD co-ordinator for NAWE. She used to write copy for Time Out magazine, Nike and the BBC. Zoe Gilbert is an award-winning short story writer, and her first book will be published in February 2018 (Bloomsbury). She is completing a PhD in Creative Writing at the University of Chichester, is a mentor for the Word Factory Apprenticeship Scheme, and has run the Waterstones Piccadilly critique group for many years.